Today is the day I’ve been waiting for, for over a year now! I’m a huge fan of Hanna Peach‘s Dark Angel. 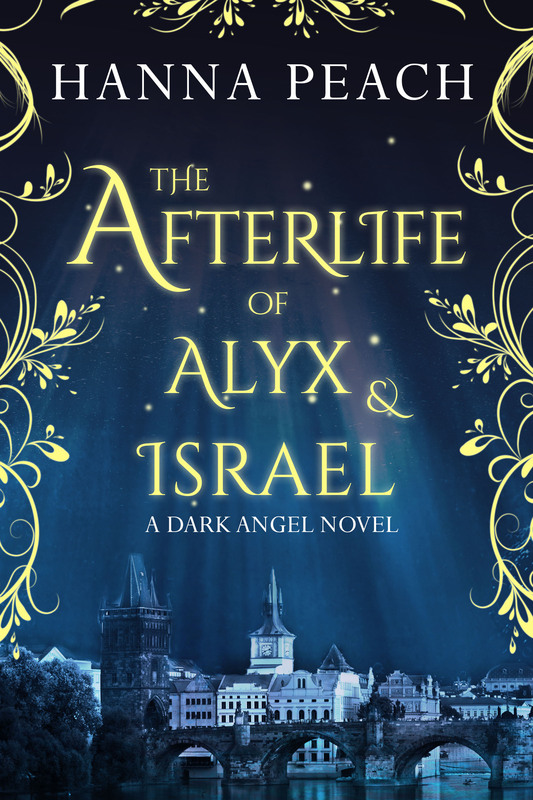 Alyx and Israel are two characters that are hard to forget so I was ecstatic when I realized the author was releasing a full length novel/epilogue to their story. 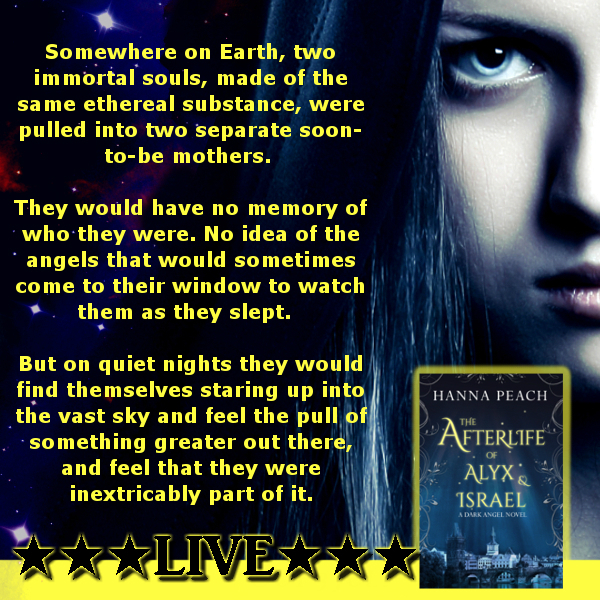 Read on for my review of The Afterlife of Alyx and Israel and check out the beautiful teasers! 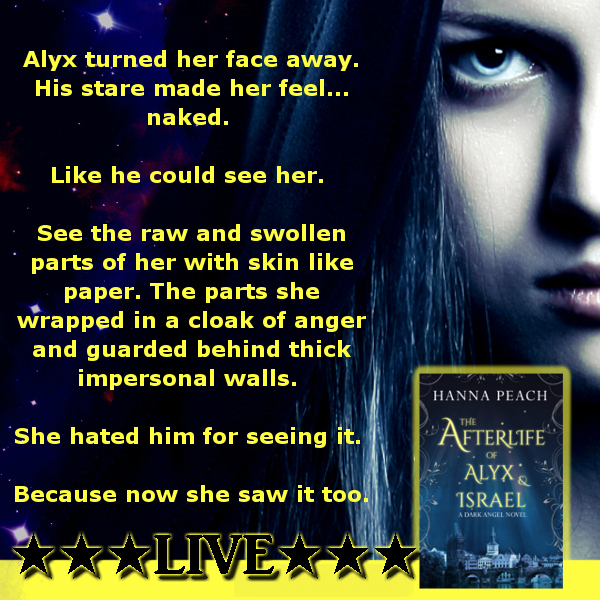 The Afterlife of Alyx and Israel by Hanna Peach is everything I wanted and more! Alyx and Israel are two of my favorite characters and to see them finally get their HEA was worth the wait. The story opens with three immortals in Purgatory (I’m not joking and if you’ve read the series you know what I’m talking about!). Vix, Jordan and Balthazar decide that Fate isn’t working fast enough for Alyx and Israel and it’s time for them to intervene. Alyx is engaged to someone not Israel and Israel is falling down the same path he took in his previous life. But their meddling results in Alyx being trapped within her own mind and only Israel has any hope of bringing her back. As I’ve already stated, Israel and Alyx are two of my all-time favorite characters. As immortals, they were amazing. Israel was surly, passionate, and fierce. Alyx was a force to be reckoned with, fearless, and brave. I was a little concerned to read how being mortal with no memories of their previous lives would affect them, but Peach delivered! Alyx and Israel are just as memorable and the character traits that defined them shine through, even without their memories. I loved seeing Jordan, Vix, and Balthazar again. This was a fun bonus to the story, even if their actions are the catalyst for the plot. They haven’t changed. Jordan is still a little jealous of Israel, even though he’s found love. Vix is still tough. And Balthazar is still the one with tricks up his sleeve. I found myself immediately drawn into the plot after just one chapter with them! The plot focuses on Alyx and Israel and their race through the Dreamscape inside Alyx’s mind. It’s interesting to read as they learn who they once were compared to how they are now. The way their souls are bound together despite working against fate makes for an excellent, heart-wrenching read. Overall, Hanna Peach did a fantastic job of continuing Alyx and Israel’s story. I was beyond impressed with how their mortal lives intersected with their previous. And yay for HEA!!!! Fans of the series, this is the book you are waiting for! New fan? No problem, you can read this book without any previous knowledge of Dark Angel though I still recommend you read them in order (my OCD brain can’t handle it any other way).